This existing laundry room morphed into a dual-function space by relocating the washer and dryer to the end wall under a granite top. 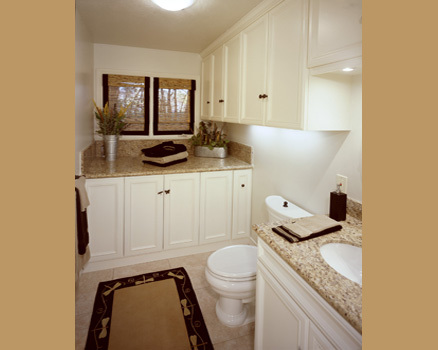 A new toilet and vanity was installed where the previous washer and dryer were located. New porcelain floor tile, paint and window treatment completes this bathroom remodel.